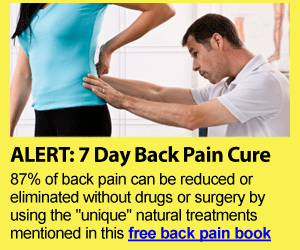 Everybody can suffer from low back pain. It is a part of living. One major cause of back pain, regardless of degree is low back strain. What then is low back strain? The bones of the spinal column are held in place by a string of muscles and ligaments in our back. Low back strain develops when muscle fibers are stretched or torn abnormally. Subsequently, muscles will weaken and may lessen the ability in holding the bones of the spinal column properly. The spine will eventually become unstable, which causes low back pain. Back pain can be experienced by anybody and is most common to athletes. The muscles in our back are at risk to strain if we start to do complex, over-extended movements just like in sports. Sports involved jumping, repetitive hyperextension and twisting that can trigger back strain. The pulling or twisting of muscle or tendon may lead to strain. It may be cause also by improper lifting or doing something that overstretched back muscles. Chronic strain is a result of overused muscles such as action involving repetitive, prolonged movement. Sprain may be due to a sudden fall or twisting, or a strong blow against the body, which forces joint out from its normal position. Such instances stretched the ligaments beyond the normal range thereby causing injury. Additionally, several factors place an individual at risk of back strain including over curving of the lower back, weakened back or abdominal muscles, back cramps and having tight hamstrings. Sports involving pulling and pushing such as football and weightlifting increases risk for low back injury. Moreover, being overweight, improper posture, emotional stress, being out of shape and even sitting for long periods in the same position can also render back strain. However, although low back strain is a major cause of back pain, people must understand that there are other causes of back pain such as fractures, slipped discs, arthritis, pinched nerves and infections. What do people with low back pain feel? The common feeling of a person that says “my back hurts “, include pain and stiff back, pain in one’s buttocks and legs, which is usually in the back part of the thigh, pain that gets worst when doing stretching, bending, sneezing or coughing. Some of the symptoms may be the same with other severe body pain conditions; therefore, it is crucial to have a doctor check you first. Weakness in the legs and numbness or bladder and bowel problems can already be an indication of nerve damage, which requires outright medical attention. The focus to prevent back strain is on strengthening the muscles that support the spinal column and on the awareness on the good body mechanics required for lifting. The following is recommended whenever possible. Static stretching – This is a type of stretching that individuals should do actively. It involves gradual stretching of the muscle towards the point of discomfort and slowly backing off slightly. The established position must be held for at least 30-seconds and repeating it, two more times. However, the person must not move towards a painful position that may lead to body injury. Flexibility – Preventing a back strain can be done by keeping the back muscle flexible. Static stretching repeated over time may elongate the muscles gradually allowing farther stretching before any injury occurs to the muscle. Strengthening – Strengthened muscles supporting the spine reduces risk of injury. Doing exercises, which strengthen the trunk’s core muscles must be the focus. In order to achieve this, variety of exercises must be done focusing to sustain the concentric or isometric contraction for the muscle that is involved mostly in the extension, rotation and flexion of the spine. Using the large muscles – Another way to prevent back strain is to use the larger muscles that are in the lower extremity when lifting heavy objects. The technique is to carry heavy object closer the spine, keeping the spine straight while lifting, and lifting using the legs. Maintaining the spine straight as well as bending at your hips and knees will protect the small muscles, while making the large muscles of pelvis and thigh engaged in the lifting. Placing ice at your back – Ice can lessen the pain and swelling. You need to do 20 to 30 minutes every 3 to 4 hours in 2 to 3 days. Placing ice at your back after every physical activity will also help. Applying heat at your back – This can only be done after the two to three days of icing the back. Use heating only after the swelling is gone. Use heating pad or hot water bottle. You can also soak in hot bath. Taking painkillers – Take painkillers only if prescribed by your doctor. The NSAIDs such as Aleve, Advil or Motrin can help treating swelling and back pain. However, taking drugs should only be done occasionally because of possible side effects. Using a support – Consider having a girdle or belt as support to the back; you can ask your doctor or therapist about it. You can use it for short-time only or as support when lifting heavy object. Getting physical therapy – Having a physical therapy can be of help, but seek doctor’s advice first. Never stay on the couch or lay in the bed all day; it will make things worse. Maintaining good muscle tone – Keeping your muscle in good tone in the lower back and abdominal can be recommended. Regardless of what people may advice you, resting in bed will not work. Many people consider lying on their back until feeling better is best treatment for back strain. However, studies proved that it does not help. The fact is that after a day of taking it easy, you should start doing light physical activity.